" ... there are compelling realities in the journey of Christian faith, vehicles of inspiration that encourage us to follow Jesus and Mary. Signs are evident that God watches carefully over His Earth. We need not search far. Overwhelming evidence is before our eyes in the eternal presence of Angels, the witness of the holy Catholic Saints and their extraordinary lives, and now more than ever before the miraculous apparitions of the Blessed Virgin Mary herself ... "
"Catholic Pilgrims of Mary and Jesus" is devoted to collecting and sharing the most remarkable and irrefutable events and truths of the Catholic tradition. The factual content is arguably among the most compelling found anywhere on the Web. It's wealth of information and images, mostly from private sources, all concern various modes of Christian inspiration for our souls. A virtual pilgrimage, you may discover within these pages the seeds of your own inspiration. There are many paths of inspiration for the soul. Our diversity of culture and personality leads us to divergent interests. What inspires one may be trivial to another. Yet, we are all moving rapidly toward the same conclusion in our lives on Earth. Jesus Christ is the light that shines through the window separating this tangible world from eternity. So, what path of spiritual inspiration will lead us to walk most directly in this beam of light? The world's only online reservation service for Christian pilgrimage travel. The appeal of angels is universal. Global cultures and religions, from Judaism to Christianity, Islam to Hinduism, hold beliefs in these heavenly messengers. What disbeliever would not even wish for proof of ever-present protectors that stand in harm's way? Belief in angels naturally leads to devotion to Mary, Mother of God and Queen of the Angels. Devotion to Mary does not presume belief in angels, although they are often instrumental in her intercessions of motherly love. Her maternal guidance is a gift of God to the world, as He allows her to reign over peace on Earth and intercede with the state of the human soul. The blessed Virgin has made her very real presence known time and again throughout history. 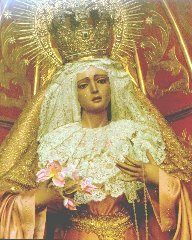 Her miraculous apparitions have taken place in far more locations worldwide than is commonly known, and with greater frequency in modern times. She is delivering a messageone of love, hope, and forgiveness. Are we listening? Of all the saints of Christianity, Mary is the first and foremost, human in creation and yet glorified by God because of her heroic trust and conformance to His will. We are inspired by her life example and continuing intercession with her Son on our behalf. So, may we also be drawn to the examples of many other saints who lived in the centuries afterward. The life experiences and trials of the holy saints are as numerous as our own. Often we gain new perspective on our life difficulties when we learn of others who have conquered similar obstacles. What wonderful encouragement to know that sorrows can be overcome, and even channeled to the benefit of ourselves and others when we offer our suffering to the glory of God. We may simply discover a lesson or a devotion from a saint that we grow fond of. We are then inspired to learn, to pray, and to follow an example that finds favor with God. Write Catholic Pilgrims.com at info@catholicpilgrims.com. Your comments, ideas, shared experiences and prayers are most welcome!